Typically preschoolers are taught the basics, such as colors, the alphabet and the numbers 1-20 through simple worksheets and activities. We also provide them with structured play, such as a kitchen set or a dress up station, and we make sure that they have time to build their motor skills through creating art and exploring music. However, all too often, we neglect to introduce our youngest students to the wonder of science because we think it is too difficult of a subject for them to grasp. While some concepts in science will go way over a preschooler’s head, we can introduce them to the subject as a whole by presenting them with the way things work in their environment. You see, preschoolers are naturally wired to be curious, which means that they are fully prepared to learn about the world around them. 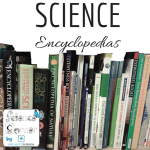 These years are a good time to introduce them to the science that surrounds them everyday because an early introduction to the subject will create an interest that you can build upon once they reach the elementary years. By showing them the miracle of the scientific processes going on around them, you are constructing a basis for future learning. 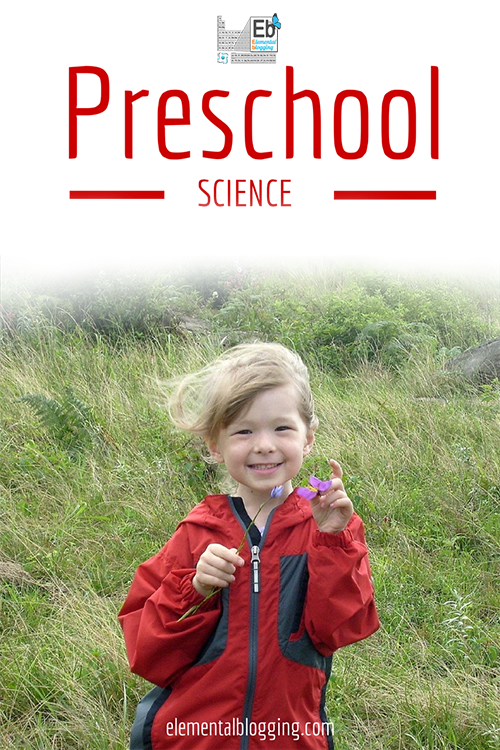 What should preschool science include? The preschool student is a completely blank slate. So during these years your main goal is be to introduce him to various concepts and ideas found in science using a hand-on approach. This will help him to build a basic framework, or bucket, that he can fill during the elementary years. Practical Projects – These should include simple scientific demonstrations or nature studies. 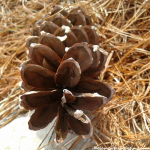 Scientific demonstrations should be designed to help your student see the science of his environment in action, while nature studies should be designed to aid your student in learning about the world around him through discovery and observation. Living Books – These books can be non-fiction or fiction books that relate to the main topic you are studying. Several weeks ago I share exactly what a living book is and how it relates to science, so I won’t repeat that here. 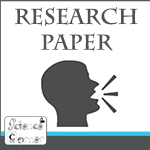 Coordinating Activities – These are snacks, crafts and other activities that are meant to reinforce what the student is learning in science. What you accomplish each week will vary because your student’s interest will vary. Some weeks a preschooler will want to spend every waking minute learning something; some weeks he will only want to spend 5 minutes on educational topics. 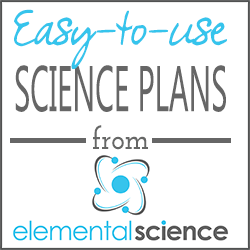 So look at the above components as a buffet of ideas that you can use to introduce your student to the world of science rather than a list of things to do each week. 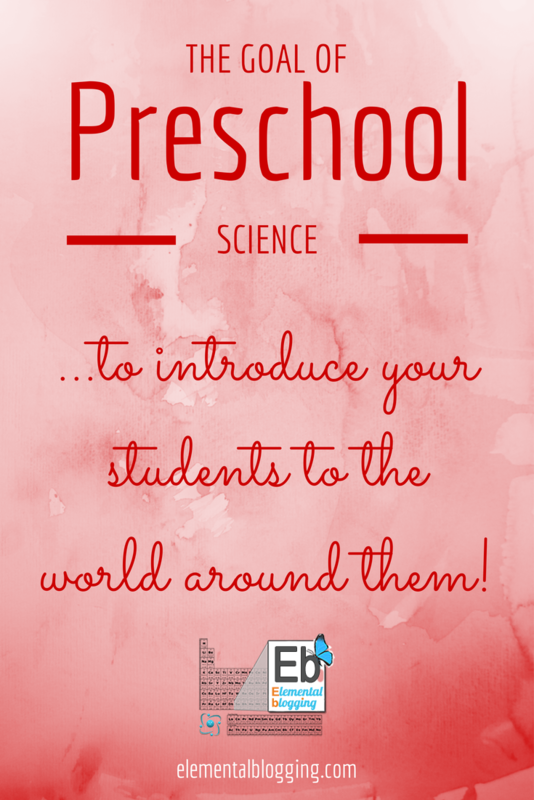 Remember that, science in the preschool years needs to be very hands-on and teacher led. During these years, science should be strictly enjoyable for the preschool student. If your student does not enjoy reading books about science (or any of the other components), don’t force him to do it, as this will be counter-productive to your goal. There will be plenty of years for him to learn what he needs to in the not so distant future. 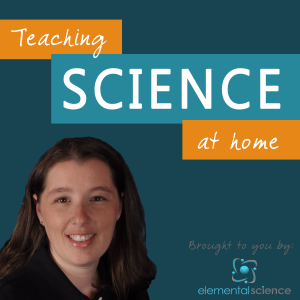 Do you have questions about teaching science to your preschooler? Leave them in the comments and I make sure to answer them.